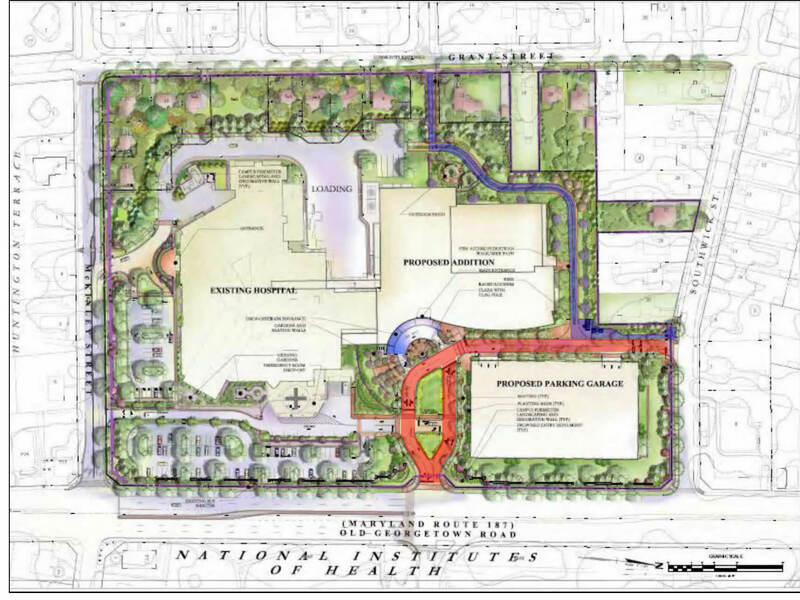 Suburban Hospital in Bethesda is undergoing a large expansion, doubling the size of its footprint. The expansion should allow the hospital to provide more care to the community. I’m grateful for the hospital’s presence, since members of my family have received excellent care there. Cyclists can still ride on Southwick (as they always could) but there’s no signal or break in the median at Old Georgetown and Southwick, so cyclists can’t cross Old Georgetown there. The whole point of having a detour is to get riders to the BTT and NIH on the east side of Old Georgetown Rd. Cyclists need to be able to get to the signalized intersection where Lincoln previously connected to Old Georgetown, which is now the hospital’s main entrance. But although the expansion project completely built (or rebuilt) these sidewalks, it did not widen them! 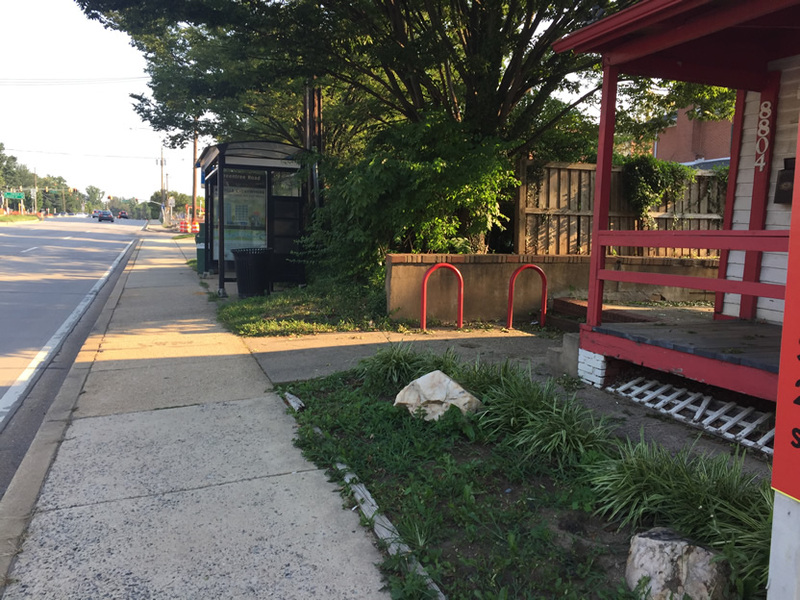 As a related issue, the county should widen the next block of sidewalk to the north (on the west side of Old Georgetown from Southwick to Greentree Road) to provide better access to the Capital Bikeshare station in that block. This is approximately 120′ of sidewalk. See more discussion below. Click here to see this map in Google. The Grant Street bike route is important for cyclists in its own right, linking Democracy Boulevard to downtown Bethesda. Obviously the Bethesda Trolley Trail is important. Moreover, there’s a hybrid route that follows the Bethesda Trolley Trail north of Lincoln and the Grant route south of Lincoln. The BTT south of Lincoln is quite arduous because it’s narrow and full of pedestrians. Grant south of Lincoln is more direct and comfortable to destinations like Bethesda Row, Bethesda Metro and the Capital Crescent Trail. So BTT riders may cut over to Grant. Lincoln was the most convenient way to do so. Lincoln also linked NIH to neighborhoods to the west. So Lincoln had bike route signs and was designated in county planning documents as a “shared roadway” bikeway (number PB-22). …A 20-foot wide public access easement for a pedestrian path through the subject property between the Grant Street/Lincoln Street intersection on the west and the intersection of Southwick Street and the proposed driveway near the northeast corner of the site, as a replacement for the master-plan-recommended shared-roadway bikeway section along existing Lincoln Street that will be abandoned between Old Georgetown Road to the east and Grant Street to the west. This language contradicts itself, calling for a full detour but requiring only a partial detour. Didn’t planners know cyclists need to get to Old Georgetown Road and cross it? Did they expect cyclists to use the hospital internal street? I don’t hold the hospital responsible for this mistake. It’s the Planning Department’s job to make sure bike accommodations actually serve cyclists. Cyclists who use the detour path can legally ride on the new sidewalks along Southwick and Old Georgetown to get to the hospital main entrance (formerly Lincoln) in order to cross Old Georgetown at the signal. Many cyclists were already using the Old Georgetown sidewalk there due to the Lincoln closure. But as noted above, the sidewalks are too narrow, despite being (re)built in a vast grassy area. Putting cyclists on narrow sidewalks is bad for both cyclists and pedestrians. If widened, the sidewalks would’ve extended the detour path to the signal cyclists need to get to, as shown in the diagram above. No one seemed to figure that out. There appears to be plenty of room to widen the sidewalk to 10′ (as asphalt, because it’s a path) or to build a separate 8′-10′ path in addition to the sidewalk. Adding a separate path might be best, as it would tend to separate bikes and pedestrians, would be further from the street, and would not require tearing out a brand new sidewalk. Fortunately cyclists can still physically ride through hospital property, starting on the detour path and transitioning to the hospital internal road, to emerge at the hospital main entrance, as shown above. 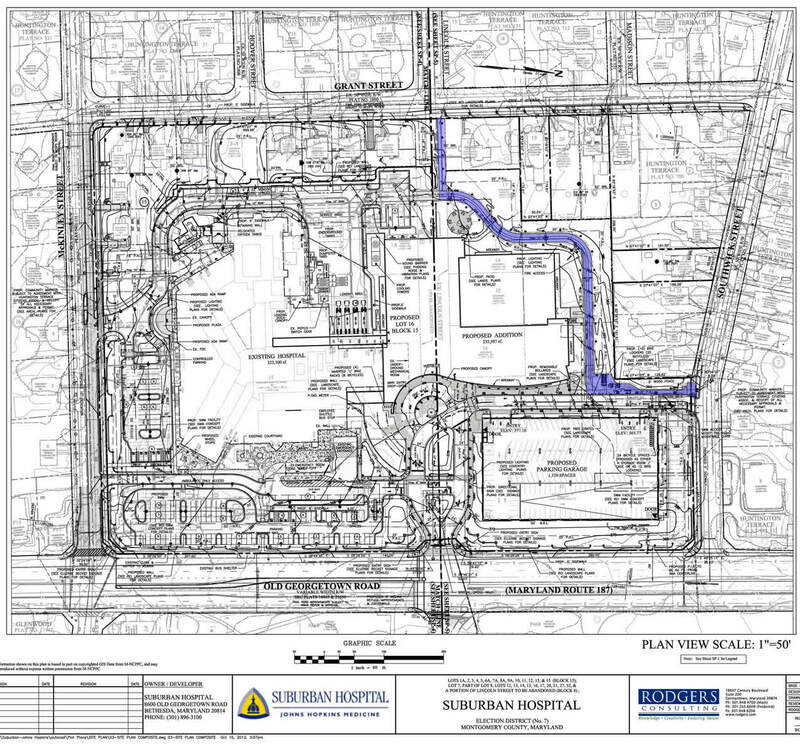 The question is: will Suburban Hospital sanction the internal road as a bike route? It would require two or three bike route signs in each direction, in addition to whatever signs are posted on the detour path. The county must sign at least one connection between NIH/BTT and Grant. Two alternative connections are 1) Greentree Road, and 2) Sonoma Road. But Greentree is a busy narrow road, and westbound cyclists might have to stop in the middle of the lane to wait to turn left from Greentree onto Grant, which is potentially dangerous. Sonoma is another option, but it lacks a signalized crossing of Old Georgetown Rd. It’s already a bike route and certainly better than Southwick, since Old Georgetown has a protected median at Sonoma. But it’s hard to imagine a sign on the Bethesda Trolley Trail directing cyclists to leave the trail mid-block and cross to Sonoma. Our goal is to provide a detour that can be signed. 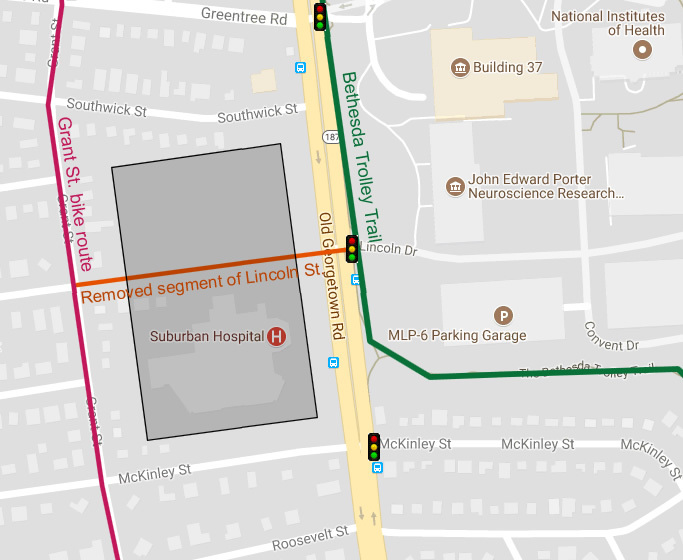 As soon as possible, Suburban Hospital should consider widening its sidewalks along Old Georgetown Road (north of the main entrance) and Southwick Street. Narrow sidewalks have already being built, but trees haven’t yet been planted. It may be best to add a new 8′-10′ path parallel to the new sidewalk rather than just widening the new sidewalk, as discussed above. Of course in reality, neither the hospital nor the county will want to touch the site plan again. As simple as it would be to widen a sidewalk, the legal issues associated with hospital expansion over the past few years mean changing plans would be difficult if not impossible. It would be easier to rebuild a sidewalk that’s been in place for years (like the one in front of NIH across the street) than deviate from such a contended development plan. If that isn’t done, the hospital should allow bike route signs along the detour path and from the detour path to the hospital main entrance (via the internal hospital street). 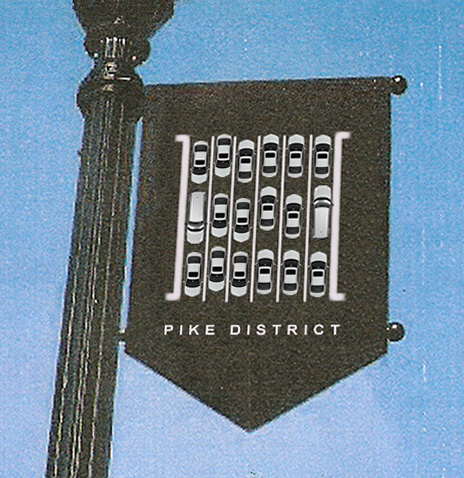 Sign design and installation could be handled by the Planning Department or by county DOT — the Planning Department because it’s responsible for the detour problem, or DOT because it has considerable experience with bike route signing. An added wrinkle is that the Planning Department just approved the hospital’s signage plans, which didn’t include any bike route signs (though I asked the department to pursue signs over a year ago). Widening this sidewalk segment could also provide another Lincoln detour option, but it’s not ideal for that given the proximity to the street and possible conflicts with the parking lot, bus stop, and Bikeshare station. Such a detour would consist of Southwick, this segment of sidewalk, and the Greentree crossing of Old Georgetown. Wow, it’s been more than ten years since I started poring over bike budgets. I still remember analyzing the 2005-2010 budget. That’s so long ago that some of the projects in that budget are actually complete! (but many aren’t). It’s so long ago that two-way cycle tracks were still called bike paths. Seriously, the County Executive’s recommended 2017-2022 Capital Budget (technically the “FY17 Recommended Capital Budget and FY17-22 Capital Improvements Program”) is a solid improvement over budgets from ten years years ago. Support for bicycling has never been stronger in the county, thanks to growth in ridership and attitudinal shifts in county government. But the county still has a long way to go. The capital budget covers six years but is rewritten every two years, and can be amended in the in-between years. The County Executive submits a recommended budget in January of even-numbered years. In the spring the County Council votes on the budget after making whatever changes it deems necessary. County Council committees are tasked with reviewing the budget details in their area of purview and advising the full council. The council T&E Committee has already sent its advice regarding bike projects in the CE-recommended budget (except MNCPPC projects) to the full council. The county’s Operating Budget is a completely different budget that covers ongoing expenses like road maintenance. I’m not discussing it here. Bike-related projects and programs that are standalone budget items (except MNCPPC projects). These are projects big enough to be treated as separate items in the budget, plus programs that may include several smaller projects. Bike-related projects under “Facility Planning – Transportation”. This budget item lists projects slated to begin Facility Planning (initial study and design) during the next 6 years. Bike components of other transportation projects. Many road and bridge projects include bike components like sidepaths or bike lanes that aren’t recorded as bike expenses. There’s a partial list of such projects on PDF page 228 (p. 21-2) of the capital budget document. MNCPPC bike-related projects. These are projects that fall within MNCPPC’s purview, mainly park trails. See below for brief project descriptions. I gathered this information from the capital budget website, which is easy to use. There’s also a 654-page PDF version. Note that some of the web pages distinguish between the CE-recommended budget and the CC-approved budget. Be sure to look at the CE-recommended budget, since the CC-approved budget is two years old. These are the bike-related items that are individually budgeted in the Transportation section of the County Executive’s recommended 2017-2022 budget. All the transportation budget pages are here . Below are the bike-related items. 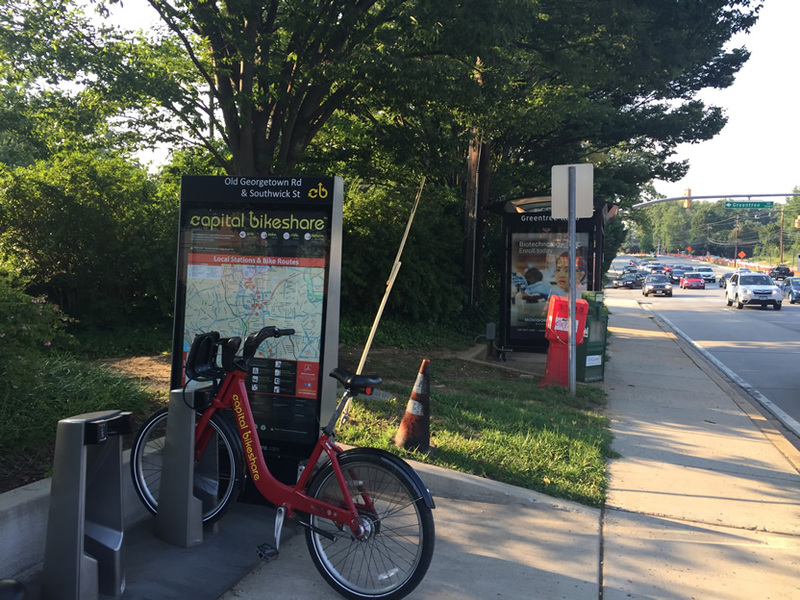 Bethesda Bikeway and Pedestrian Facilities – Provides $2.4M over the next two years to carve out the surface route of the Capital Crescent Trail along Bethesda Ave, 47th St and Willow Lane. Bethesda Ave will get a two-way cycle track on the north side. 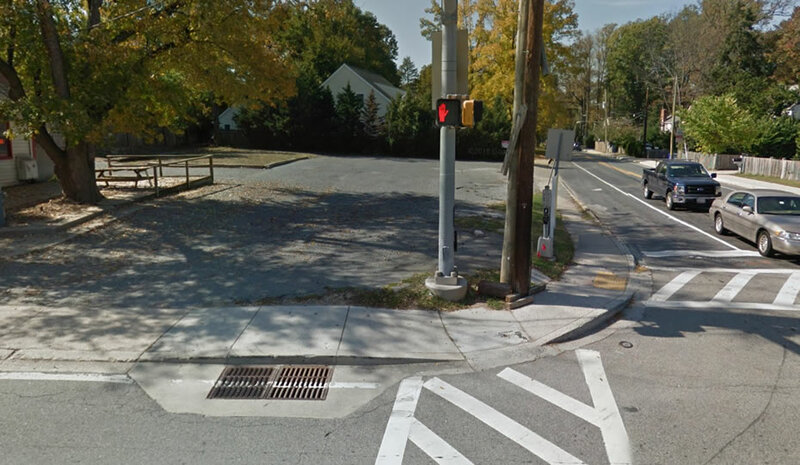 The Bethesda Ave/Woodmont Ave intersection will be modified to shorten the trail crossing distance. Bicycle-Pedestrian Priority Area (BPPA) Improvements – The program pays for targeted bike/ped improvements in the 28+ “BPPAs” (shown here). 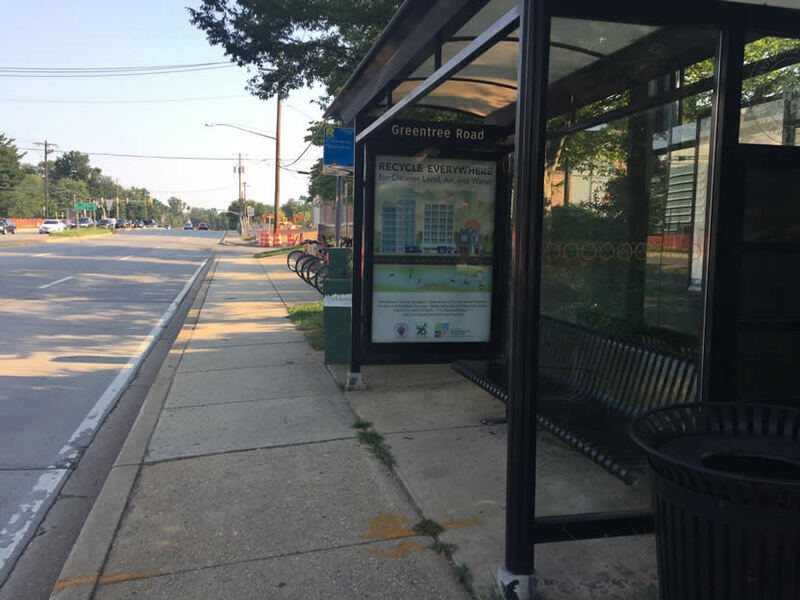 The County Executive requested $1M per year in his recommended budget, but the County Council is deciding whether to set funding at $2.5M per year in order to provide a robust network in Silver Spring as soon as possible. The Silver Spring network is estimated to cost $6.2M during FY17-FY20. Also scheduled (tentatively) are improvements in Grosvenor (FY17), Glenmont (FY18), Wheaton CBD (Fy18) and Viers Mill/Randolph Rd (FY19). Already funded is the Spring Street cycle track project. 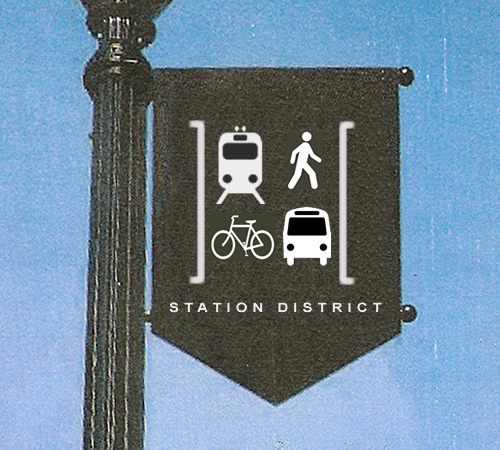 Capital Crescent Trail –$96M is budgeted over the next 6 years to complete the CCT from Bethesda to downtown Silver Spring, including grade-separated crossings of Connecticut Ave and Jones Bridge Rd. It will be built in conjunction with the Purple Line, so the schedule is dependent on the Purple Line schedule. Falls Rd East Side Hiker/Biker Path – This would be an 8′ wide sideepath from River Rd to Dunster Rd, roughly 4.2 miles. Due to the high $25M cost it likely will never be built, but it lingers on in the budget, getting delayed with each new budget. A sidewalk on the west side is still needed however. A parallel route on minor streets is availble (though hillier and 30% longer). Frederick Rd Bike Path – This sidepath would be built along MD 355 between Stringtown Rd and Milestone Manor Lane (near Brink Rd) in Clarksburg, roughly 2.5 miles. Some sections already exist. It’s slated for FY17 and FY18 and costs $7M. Life Sciences Center Loop Trail – Slated to cost $400K over the next 2 years. This is a 3.5 mile loop consisting of 10′ to 12′ wide sidepath. It will widen existing sidewalks along Omega Dr, Fields Rd, Decoverly Dr, and Medical Center Way as needed, and be built along streets west of Great Seneca Hwy that are yet to be built, presumably with developer help. MacArthur Blvd Bikeway Improvements – $9M over the next six years (in addition to $9M already spent) to complete the 4.7 mile long sidepath + shoulder project along MacArthur Blvd between the D.C. line and the Beltway. This improves the path and nominally improves the roadway. One of the three segments to be improved has been completed, though unfortunately the completed shoulder appears to be narrower than what the design specified. MD 355 BRAC Crossing – Slated to cost a total of $72M through completion in FY19 but it keeps getting delayed. This is a tunnel crossing of MD 355 at Medical Center Metro. It’s being promoted as a bike/ped facility, but there must be 10 other grade-separated crossings in the county that are just as useful to cyclists and any 5 of them could be built for the cost of this one tunnel. 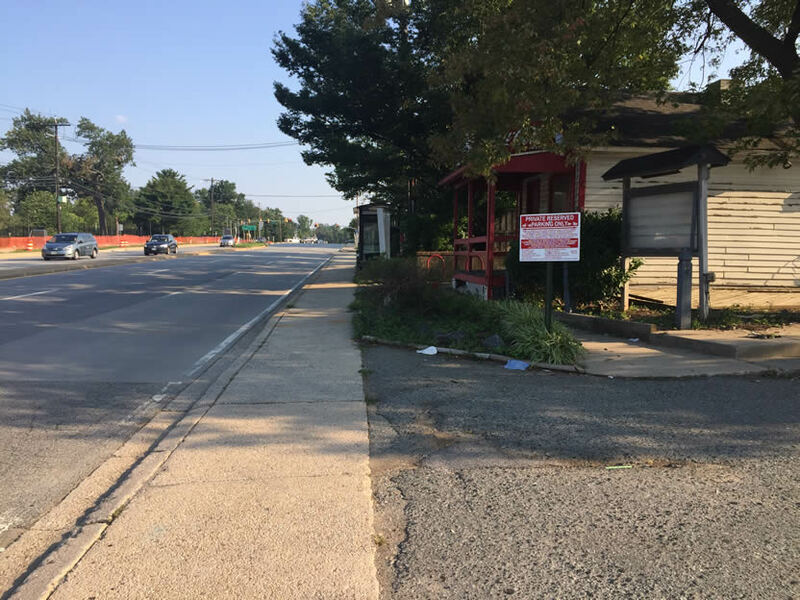 MD 355-Clarksburg Shared Use Path – A $3.3M, 0.7 mile sidepath/sidewalk along the east side of MD 355 in Clarksburg, to be completed by FY20. It would extend from Stringtown Rd north to Snowden Farm Parkway, but the southern two thirds would just be a 5′ sidewalk. Together with the Frederick Rd Bike Path and proposed Little Bennett Park Trail Connector, this would create a sidepath over 4 miles long, but 0.4 miles in the middle would be just 5′ wide. That’s not acceptable. Metropolitan Branch Trail – This is slated to cost $13M over the next three years, in addition to $5M that will already have been spent. 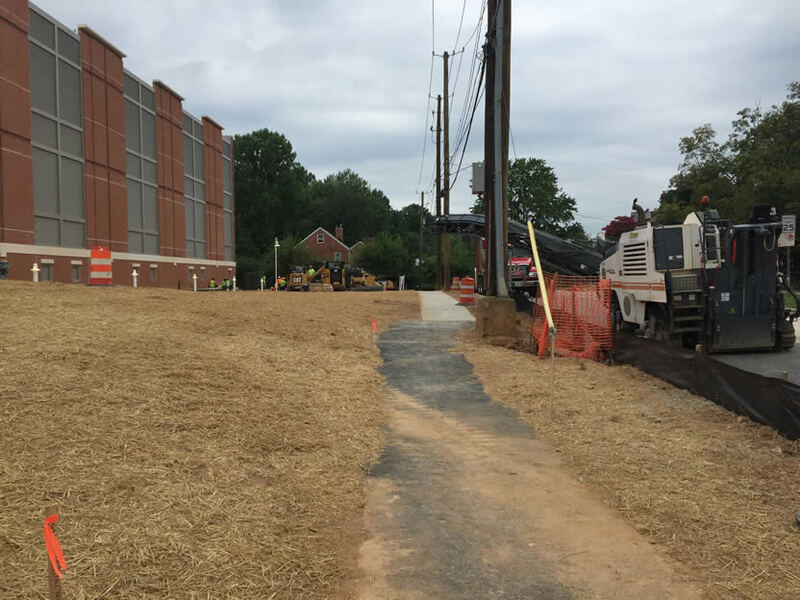 The project consists of an 0.6 mile segment of the trail between the end of the existing Met Branch Trail and the new Silver Spring Transit Center, including grade-separated crossings of Burlington Ave and Georgia Ave. The budget calls for completion in FY19 but there are dependencies that could change this. Here’s an article from last year. Needwood Rd Bike Path – For $5.8M this includes a shared use path along Needwood Rd from Deer Lake Rd (near Redland Rd) to Muncaster Mill Rd, providing a crucial link to the ICC Trail. Total distance is roughly 1.7 miles. $860K was provided by a state grant under the Maryland Bikeways Program. 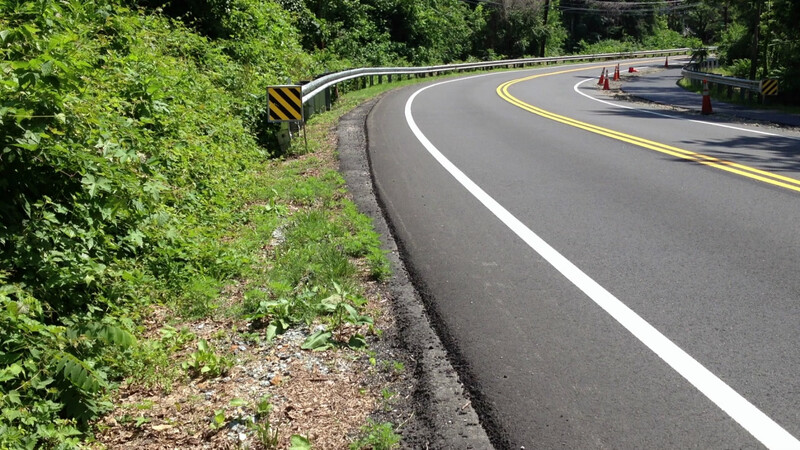 The project also includes 450 of sidewalk on Muncaster Mill Rd (from Needwood Rd to Magruder HS). 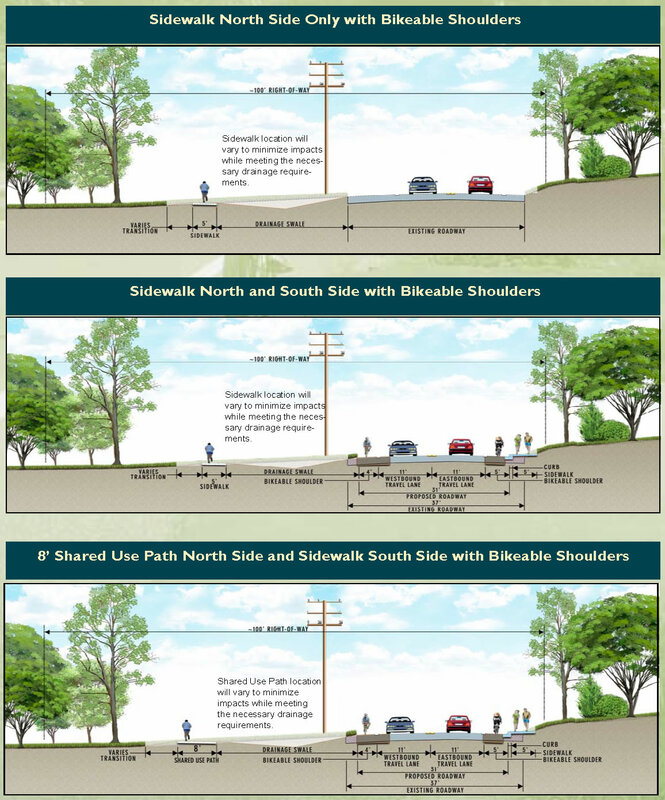 Seven Locks Bikeway and Safety Improvements – This would provide both bike lanes and a shared use path along Seven Locks from between Montrose Rd and Bradley Blvd, roughly 3.3 miles. The project would also include a connecting path along Montrose Rd to I-270. The cost is so high that the whole thing seems unlikely to happen… cost is listed as $28M through FY22, and “$50 to $60 million” for the full project. The current shoulders aren’t terrible. 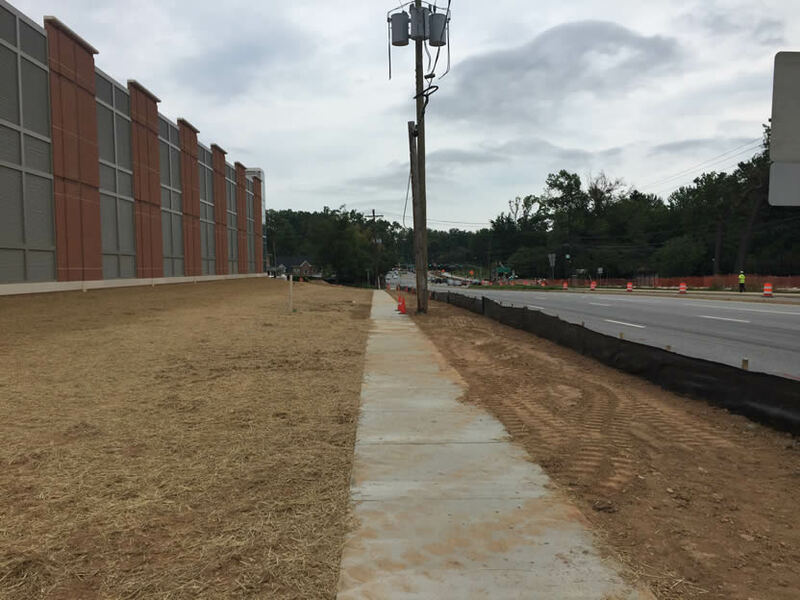 What’s really needed is a sidewalk between Tuckerman Lane and Bradley Blvd. Silver Spring Green Trail – This urban “trail” (actually a sidepath) runs along Wayne Ave, currently from Colesville Rd to just past Fenton St. 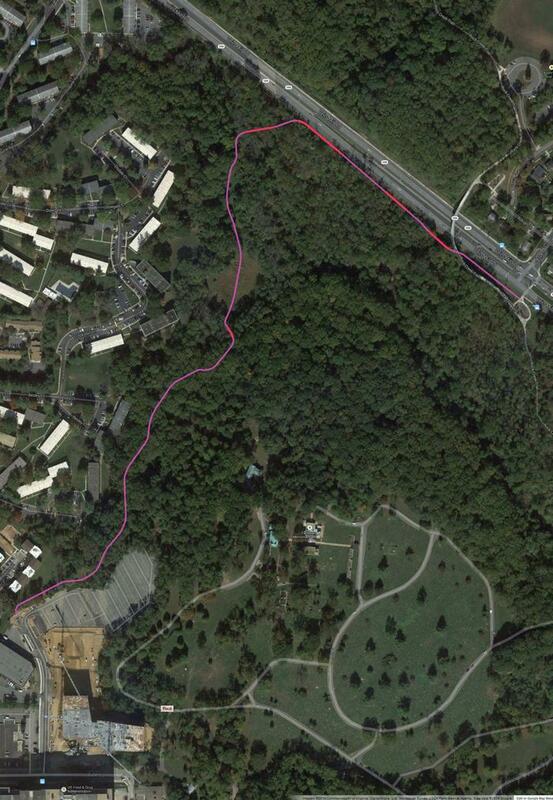 This project will extend it all the way to the Sligo Creek Trail, adding about 0.8 miles. Total cost is listed at $4.2M (with some already spent) and completion is set for FY19, but the project is entangled with the Purple Line so I wouldn’t trust the schedule. Ultimately the trail is supposed to be extended west along Second Ave for some distance. Bradley Blvd Bikeway – Council staff recommended that this dual bikeway project be put in the budget for completion by FY24. Facility Planning Phase 2 (35% design) has been completed and the cost is estimated to be $18M. 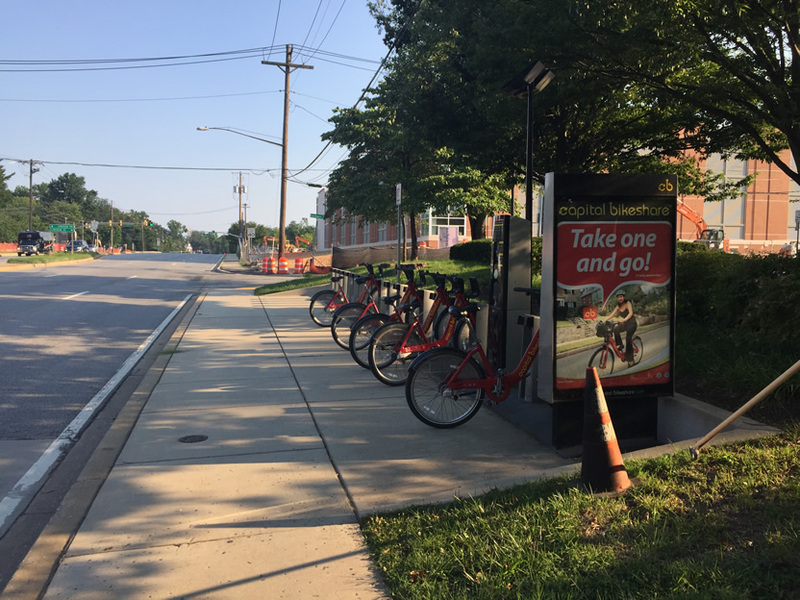 The treatment would consist of bike lanes, a shared use path, and an additional sidewalk, along Bradley between Wilson Lane and Goldsboro Rd (with the path purportedly extending to Glenbrook Rd to get closer to the CCT). I don’t know if the Council will add it. Bowie Mill Rd Separated Bike Lanes – This project would provide cycle tracks on Olney Mill Rd, which is master planned for bike lanes. The Council T&E Committee recommended that funds be provided to plan the project (Facility Planning Phase 1?). Many road and bridge projects include bike components like sidepaths or bike lanes that aren’t recorded as bike expenses. There’s a partial list of such projects on PDF page 228 (p. 21-2) of the capital budget document. Below are bike-related projects in the recommended budget that fall under the purview of MNCPPC (whose budget is detailed here). MNCPPC is the agency that includes the Parks Department, so the projects are mostly park trails. I’m not including natural surface trails. Trails: Hard Surface Design & Construction – This provides for new hard surface trails that aren’t carved out as separate budget items. The budget provides $600K for the first year and $300K per year thereafter. Additional funds can be sought from developers or grants. Trails: Hard Surface Renovation – This provides for renovation of hard surface trails, which can often turn a bad trail into a good one. The budget recommends $1M in each of the first two years, with $300K per year thereafter. North Branch Trail – Listed as $4.4M in the budget, including $2M in federal aid, with completion scheduled for FY20. This 2 mile trail will have two parts, one connecting the Lake Frank trail to Muncaster Mill Rd at Emory Lane (plus parking), and another short segment connecting the ICC trail to the Preserve at Rock Creek neighborhood. Little Bennett Park Trail Connector – A $2.8M project to provide a mile-long paved sidepath on the east side of MD 355 from Snowden Farm Parkway north to the planned Little Bennett Park Day Use Center. It would extend the planned MD 355-Clarksburg Shared Use Path further north. But the CE did not include the connector in the budget. JBG received bids from contractors on this project. Parks staff met with JBG representatives and went over the bids together two weeks ago. We agreed on the implementation strategy and JBG is working with the low bidder to clarify certain bid items. Hopefully they can finalize the contract soon. In the meantime, JBG and the Commission need to enter into an agreement to build the trail. We hope the construction can start this summer to take full advantage of the prime grading/construction season. The developer JBG has been supportive and proactive on this project. While the company is required to make area improvements as part of its construction of the NIAID building on Fishers Lane, the trail project had to pass muster with M-NCPPC and other agencies, not a sure thing without developer support. The diagram below shows the Fishers Lane trail alignment. The trail will end at the approach to the Rock Creek Trail bridge over Veirs Mill Road. For more detail, see the final approved Forest Conservation Plan (dated October 2014). 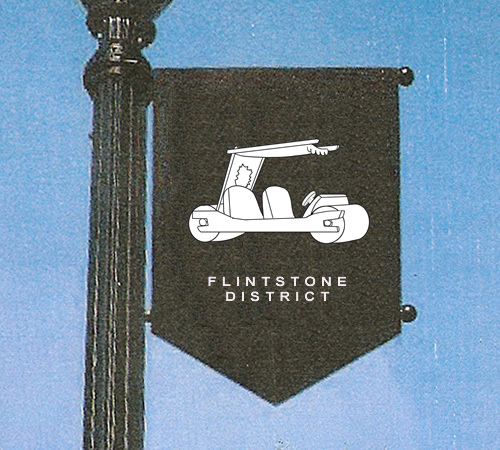 The official name seems to be the Parklawn North Trail, but since it connects to Fishers Lane and not Parklawn Drive, we’re calling it the Fishers Lane trail. The name is unrelated to Monte Fisher, but since he’s the number one supporter of the trail, it’s a nice coincidence! 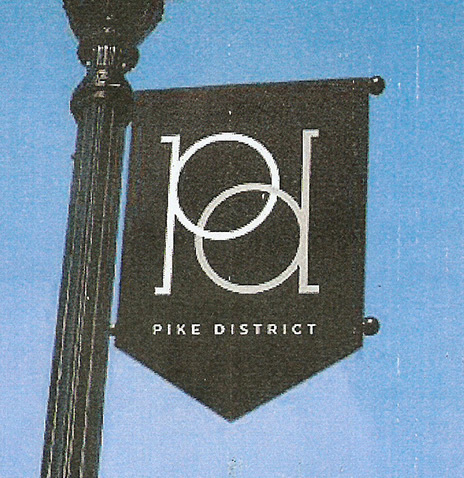 As I described earlier, developers have chosen the name “Pike District” for the White Flint/Montrose/Twinbrook corridor along Rockville Pike. The name makes me think of traffic congestion, but I realize it’s hard to come up with alternatives. The developers include Federal Realty and JBG, among the most progressive supporters of smart growth and bicycling. So I won’t hold the name against them. They should be applauded for involving the public in the naming process. North Bethesda could fit in there too. 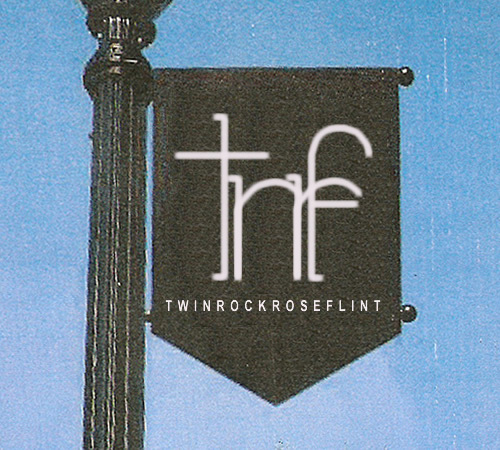 Twinrockrosenobethflint? 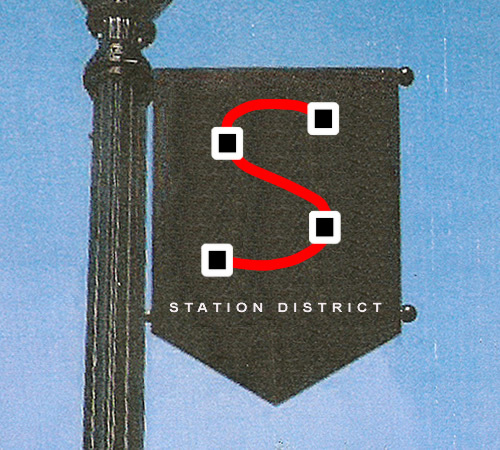 Other Station District sign variations are here and here. 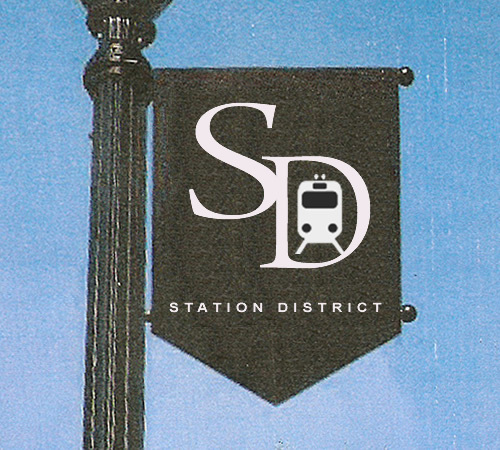 I always try to put my money where my mouth is, so I spent over $6 to reserve the domain stationdistrict.com. 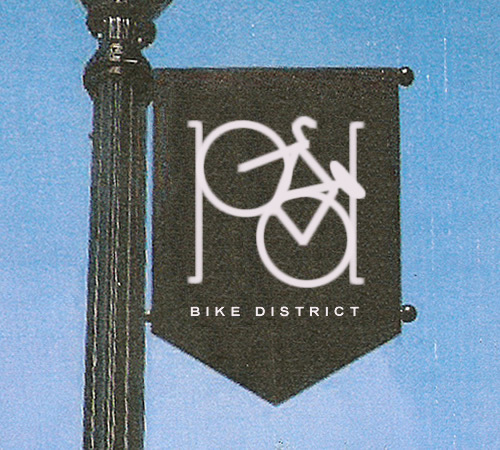 An alternative Bike District design is here. I realize now more than ever that coming up with a good name and logo is difficult. I believe developers could’ve staged a public contest to generate lots of name ideas, then held a few meetings where attendees could pick the best one. 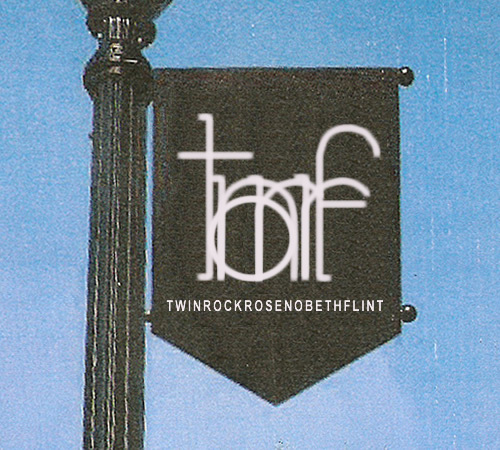 Maybe the county can still do that to choose a name for the entire corridor from Twinbrook Metro to White Flint Metro. 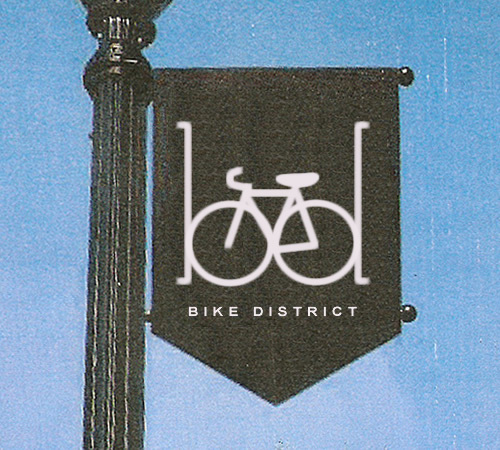 In the mean time, I’m calling it the Bike District.